0	jplist-folder-All-Posts-4768 jplist-folder-Featured-4771 Partner-Resource-Partner-Resource	jplist-topic-Business-Communication-Technologies jplist-topic-Cloud-Services jplist-topic-Cloud-Solutions jplist-topic-Collaboration jplist-topic-Microsoft jplist-topic-Microsoft-Teams jplist-topic-Office-365 jplist-topic-Skype-For-Business jplist-topic-Ucaas jplist-topic-unified-communications	1	03/20/2019 07:39:47	Why get your Office 365 licensing from Calltower? 63	jplist-folder-All-Posts-4768 jplist-folder-All-Posts-4768 Quick-Post-Quick-Post	jplist-topic-Cisco jplist-topic-Hosted-Skype-For-Business jplist-topic-Microsoft-Office-356	0	04/04/2017 09:25:11	ACCORDING TO GARTNER$39.5 billion in 2017. Gartner forecasts end-user spending on unified communications productsand services of $39.5 billion in 2017 UCaaS Integrations play a key role in how your solution willaccomplish your company goals. 76	jplist-folder-All-Posts-4768 Promotion-Promotion	0	07/01/2016 12:09:03	Earn 300% One-Time Spiff in addition to Residual Commissions WHY PARTNER WITH CALLTOWER? At CallTower our partners are part of our family. We believe that the secret to our success is treating our partners well, providing great support to their clients and making the relationship financially rewarding. Not a Partner? Not a Problem. Sign Up Today! Terms & Conditions: Only valid on voice licenses and circuits. 36 and 60 month terms only. Not eligible for NRC discounts. Orders must be $2,000 MRR or greater. Not valid with free phone promo. Promo ends Sept 30, 2016. 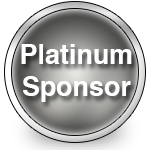 79	jplist-folder-All-Posts-4768 SPIFF-SPIFF	0	05/06/2016 16:52:05	Earn 300% One-Time Spiff in addition to Residual Commissions WHY PARTNER WITH CALLTOWER? At CallTower our partners are part of our family. We believe that the secret to our success is treating our partners well, providing great support to their clients and making the relationship financially rewarding. Not a Partner? Not a Problem. Sign Up Today! Terms & Conditions: Only valid on voice licenses and circuits. 36 and 60 month terms only. Not eligible for NRC discounts. Orders must be $2,000 MRR or greater. Not valid with free phone promo. Promo ends December 31, 2016. 80	jplist-folder-All-Posts-4768 jplist-folder-Agent-Spiffs-15925 jplist-folder-All-Posts-4768 SPIFF-SPIFF	0	05/06/2016 16:27:05	||||||| Earn 300% One-Time Spiff in addition to Residual Commissions WHY PARTNER WITH CALLTOWER? At CallTower our partners are part of our family. We believe that the secret to our success is treating our partners well, providing great support to their clients and making the relationship financially rewarding. Not a Partner? Not a Problem. Sign Up Today! Terms & Conditions: Only valid on voice licenses and circuits. 36 and 60 month terms only. Not eligible for NRC discounts. Orders must be $2,000 MRR or greater. Not valid with free phone promo. Promo ends June 30, 2016. 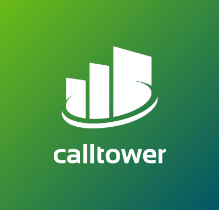 81	jplist-folder-All-Posts-4768 jplist-folder-All-Posts-4768 Update-Update	0	04/20/2016 15:21:03	CallTower Completes Second Transaction of 2016South Jordan, UT – CallTower is proud to announce the acquisition of ConnectSolutions' Skype for Business Assets.CallTower is continuing its aggressive growth strategy with the key acquisition of ConnectSolutions' Skype for Business assets. The acquisition marks the second transaction for CallTower in 2016. In January of 2016, CallTower merged with SoundConnect to create a global leading technology and innovation driven unified communications company. "We are excited to extend our award winning Skype for Business offering to our newly acquired ConnectSolutions Skype for Business customer base" said Bret England, CallTower's CEO. "Our Skype for Business solution delivers the World's most dynamic hosted communications solution. CallTower will integrate ConnectSolutions Skype for Business customers into its existing platform maximizing their ability to add Salesforce.com integration, call recording, contact center solutions and the additional benefit of 24/7/365 USA based support." CallTower is differentiated by its ability to delivery ground-breaking business communication solutions on a Microsoft Skye for Business and Cisco Hosted PBX platform with exceptional technical and customer support, on a superior global network to operating efficiencies and economies of scale for its customers. "ConnectSolutions was originally founded to extend the Adobe Connect user experience for large enterprises and government agencies," said ConnectSolutions' CEO Glen D. Vondrick. "We will continue focusing on our core strengths in private managed cloud services for virtual classroom and eLearning with Adobe Connect. Over 400 customers continue to depend on ConnectSolutions for the highest levels of security, reliability, and scalability in their business-critical use cases. With this transaction, we are happy that our CoSo Microsoft customers and Team Up customers will receive service and support from CallTower going forward. "About CallTowerCallTower exists to enable people to easily connect to transact business communications. CallTower is a leading provider of cloud-based, enterprise-class unified communications solutions for growing organizations worldwide. We provide, integrate and support industry-leading, cloud-based, Unified Communications and Collaboration services for business customers. We enhance our clients' strategic and operational capabilities by integrating VoIP service, mobile applications, email hosting, unified messaging, instant messaging, audio, web and video conferencing, collaboration tools, contact center, cloud services and global networks solutions into one reliable platform.About ConnectSolutionsConnectSolutions (CoSo), an Adobe Gold Solution Partner, is the trusted private-cloud solutions provider for Adobe Connect, providing expert managed and professional services with custom integration support for business critical use cases. With more than 8 billion minutes of cloud collaboration delivered, CoSo products, services, and unrivaled expertise are relied upon by large distributed enterprises, US government agencies, and professional eLearning organizations to deliver a superior customer experience in the deployment and ongoing management of mission-critical collaboration, eLearning and virtual classroom solutions. PARTNERS ARE YOU READY FOR MADNESS?